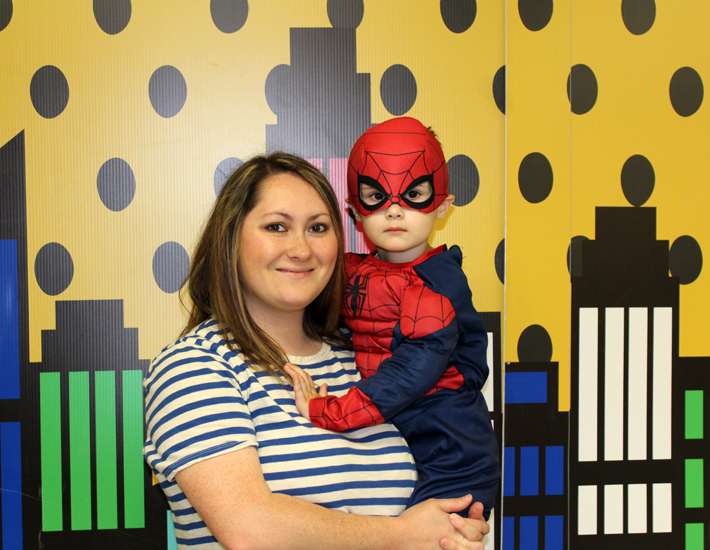 1) On Saturday, Raylan and I attended our first ever Superhero Takeover Party. It was such a fun little event. My Spiderman got to meet Spiderman and do all kinds of fun activities so he was on cloud 9. You can read more about the event here. 2) Justin and I asked Raylan what he wanted to do over the weekend and he said he wanted to have popcorn and a movie, so that's just what we did. He picked Cars 2. 3) Raylan got a new haircut and I'm loving it. This is my favorite haircut for him so far. He looks so handsome with it. 4) I started reading Abbi Glines new book Boys South of the Mason Dixon. It is such a good read. I love all of her books. What are you currently reading? 5) I hosted a Facebook Tupperware Party and received all kinds of goodies. I was so excited. It felt like Christmas morning lol. It made this cooking momma really happy. I'm currently loving the Microwavable Breakfast Maker. It makes life so much easier. This week's featured blogger is Mackensey from Stang & Co. Mackensey is a wife and a boy mom who loves to bake and craft. She also has great style. I'm loving her new Perfect Spring Jacket. Please stop by and say hello to Mackensey.